5 Meters full Kit Led strip lights with controller and adapter. Use it anywhere inside your house or store. Great for the kitchen, bar or any decorative area that you would like. 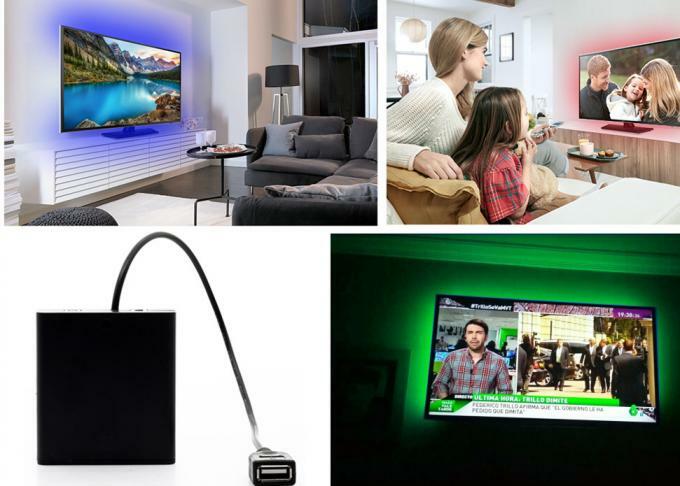 This kit includes one 5 Meters RGB LED light strips (16.4ft 150leds/ reel), remote controller, power adaptor and connectors. No other accessories are required. But please note here: The 12V 2A power adapter only can load 16.4ft light strips at the utmost, please don't increase the strip lights. Not only has basic RGB(Red,Green,Blue),16 multi-colored options for creating romantic atmosphere, but also has Pure White for illumination purpose. No color difference among the whole strips ! Cuttable and linkable. 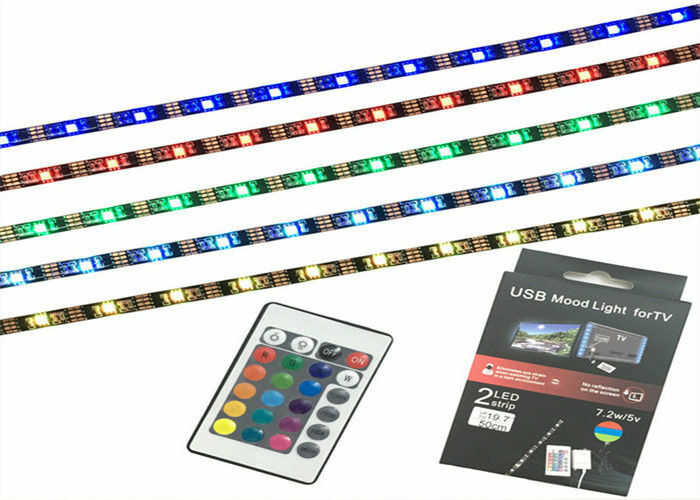 Color changing LED Strip Lights can be cut to every 3 leds, its 5M adhesive tape backing can be fit many dry flat surface. the led will not dim if you connect them from each output of the IR receiver.44key controller contained a DIY fuction , Press "DIY" botton and then just long press one of the arrow button to set it.Also it have dimming and brightness control.